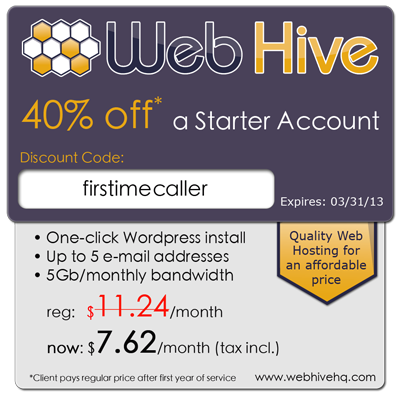 For the month of March only, get 40% off hosting. Why? Because I just got a new server and feel celebratory. 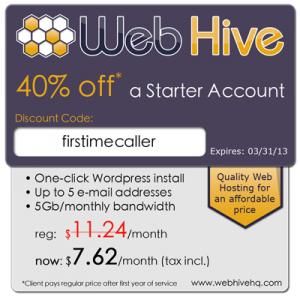 Use this coupon code to receive 40% off your first year of a starter package. 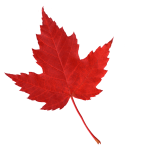 This new server is located in Toronto, Ontario. 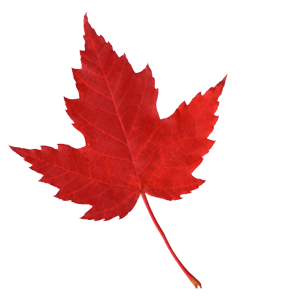 I work out of Barrie, Ontario and I’m proud to be a Canadian company.